after pleading guilty to fraternization ! 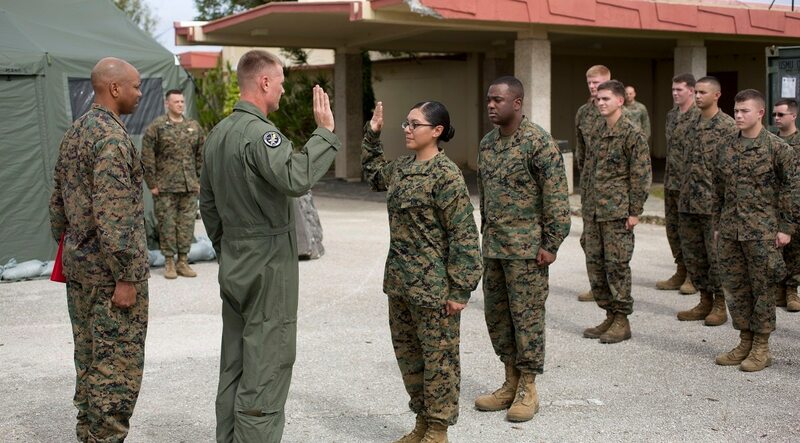 Remedios Cruz joined the Marine Corps in 2013 as a supply clerk. One year later, she completed infantry training, and in 2017, made history when she became one of three females to join 1st Battalion, 8th Marines at Camp Lejeune, North Carolina. Now, Cruz is awaiting separation from the Marine Corps after pleading guilty to maintaining a romantic relationship with a subordinate. Cruz, 26, eventually married the person, who was a lower-ranking Marine in her unit, according The New York Times. Where are the female Marines? Two years after combat billets were opened, women still aren’t in them.